Federal prosecutors want a reputed Chicago mob figure to curtail his day-to-day duties at a local laborers union while he faces charges stemming from an alleged scheme to fraudulently qualify for early retirement benefits. John Matassa Jr., 65, pleaded not guilty Thursday to a 10-count indictment charging him with wire fraud, theft of government funds, embezzlement from a labor organization and making false entries in union records. The most serious charges carry a maximum of 20 years in prison if convicted. U.S. District Judge Matthew Kennelly released Matassa on his own recognizance, requiring him to turn in his passport and firearm owner's identification card. During the 10-minute hearing, Assistant U.S. Attorney Richard Rothblatt said prosecutors had a "sincere concern" that while awaiting trial, Matassa, secretary-treasurer of the Independent Union of Amalgamated Workers Local 711, would be free to communicate with witnesses in the case and continue to make decisions on how to spend union members' dues. Rothblatt said prosecutors would be asking for Matassa's communications and financial duties to be restricted while the case was pending. Matassa's lawyer, Robert Michels, objected, saying the union has a board of trustees that is "fully capable" of making personnel decisions without court intervention. Kennelly asked prosecutors to put the request in writing before he ruled. 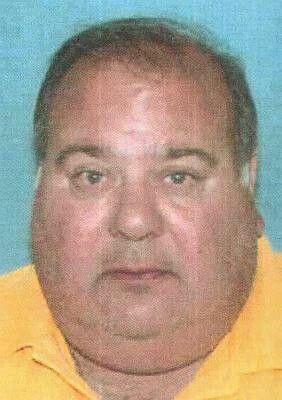 Matassa, of Arlington Heights, appeared in court Thursday in a blue suit jacket and shirt with no tie. He spoke only to answer "Yes" in a husky voice when Kennelly asked him if he understood his rights. An indictment handed down last week alleged that Matassa put his wife on Local 711's payroll in a do-nothing job in February 2013 while lowering his own salary, authorities charged. He then applied for the early retirement benefits from the Social Security Administration's Old-Age Insurance program, listing his reduced salary, enabling him to qualify for those benefits, the indictment alleged. The charges also alleged that Matassa personally signed his wife's paychecks from the union and had them deposited into the couple's bank account. In the late 1990s, Matassa, nicknamed "Pudgy," was kicked out as president of the Laborers Union Chicago local over his alleged extensive ties to organized crime. Matassa's name also surfaced during the 2009 trial of a deputy U.S. marshal who was convicted of leaking sensitive information to a family friend with alleged mob ties, knowing the details would end up in the Outfit's hands. The leak involved the then-secret cooperation of Outfit turncoat Nicholas Calabrese, whose testimony led to the convictions of numerous mob figures in the landmark Operation Family Secrets.